enQuire BioReagents is proud to introduce the finest siRNA product line in the industry, TranslationBlocker™ siRNA. You want to knock down a target at the protein level. Algorithm designed siRNA isn’t tested. 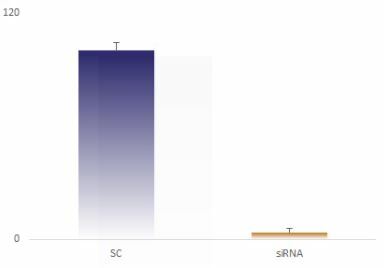 Prevalidated siRNA is only validated at the mRNA level. We’ve validated all of our siRNA to knock down protein. 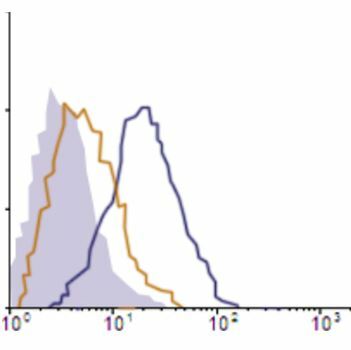 We have detailed protocols describing siRNA concentrations, transfection reagents, and time to protein knockdown. See for yourself. Our siRNA reagents have guaranteed knockdown capabilities. The images and data, all reviewed by third parties, far surpass anything else currently available on the market. TranslationBlocker™ Duplex Buffer and positive and negative controls buffers are the perfect compliment to our siRNA product lines. Our reagents are nuclease free and guaranteed for use with our TranslationBlocker™ siRNA.